With February 14th just around the corner, you've probably already gotten your kid's Valentines ready to go but have you actually gotten any of your own to send out? I didn't think so! Well, here are two fun ideas to help you out. And I'm sure your friends will get a hoot when you send them one of these heartthrob valentines from Design Editor. Hope you enjoyed today's picks and for more fab freebies, check out my Freebies and Printables Board on Pinterest! 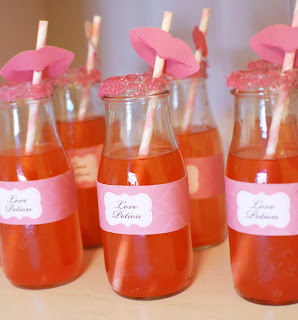 With less than a week until Valentine's Day, I wanted to share a fun party that's perfect for little ladies who want to celebrate on February 14th or at any old sleepover! 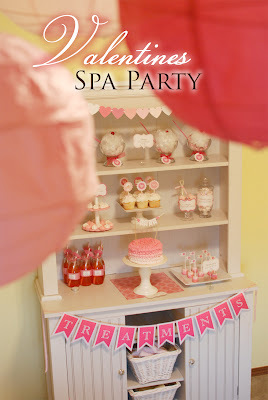 I love this fab fete from Itsy Belle featuring Moodylicious Children's Spa products. After all, what girl doesn't love to be pampered? 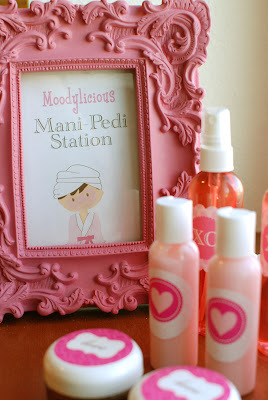 All of the guests were given Moodylicious products at the mani/pedi station. And then they got to work beautifying each other. In addition to spa treatments, there were plenty of treats too! 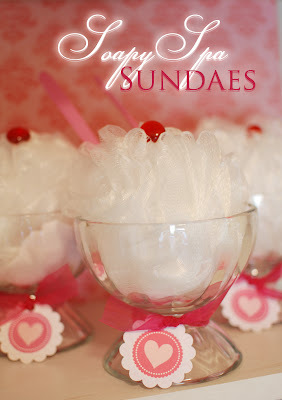 These spa "sundaes" made from loofahs and bath beads are too cute. 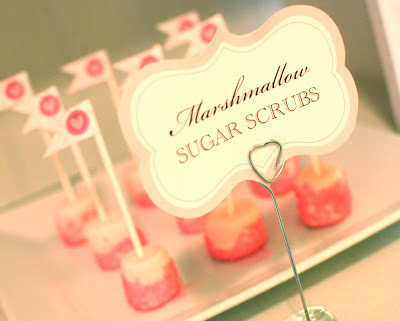 There were marshmallow sugar scrubbers. And the lip straw toppers are a great touch. It doesn't get much sweeter - well, except with some chocolate face frosting! 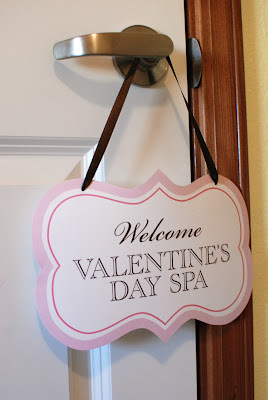 I don't know about you, but this post is making me want to get my spa on! You can get more details and see more pictures over on Itsy Belle and the spa products you see here are available from Moodylicious Children's Spa. 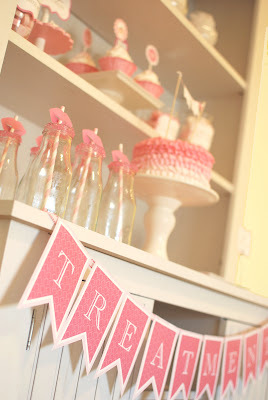 For more fun celebration inspiration, follow my Party Ideas board on Pinterest. Just one week until Valentine's Day so you know that that means - today I'm sharing a round up of love-ly ideas I'm loving for February 14th! Valentines Breakfast I'm Loving: Start their day off with a little love fest by making these heart pancakes from Living Locurto! 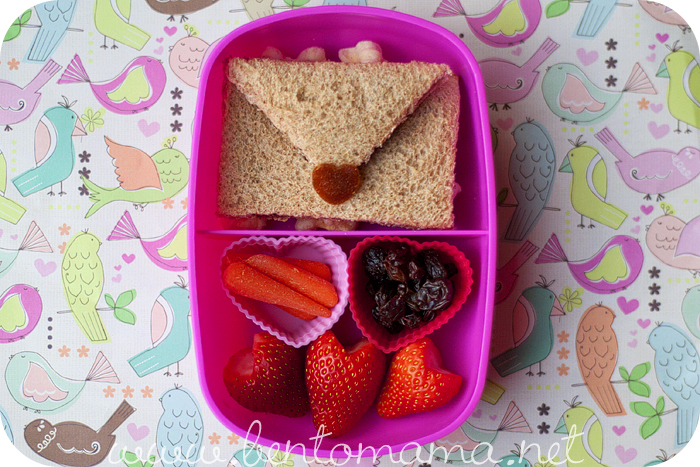 Valentines Lunch I'm Loving: Bento Mama hows you how to send an edible love note in their lunch box! 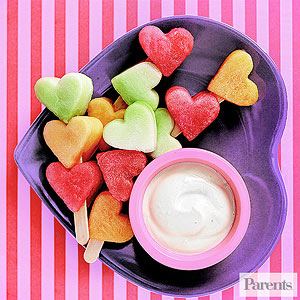 Valentines Snack I'm Loving: Parents knows that not all sweet treats have to be candy - adorable heart fruit kabobs are just as sweet. 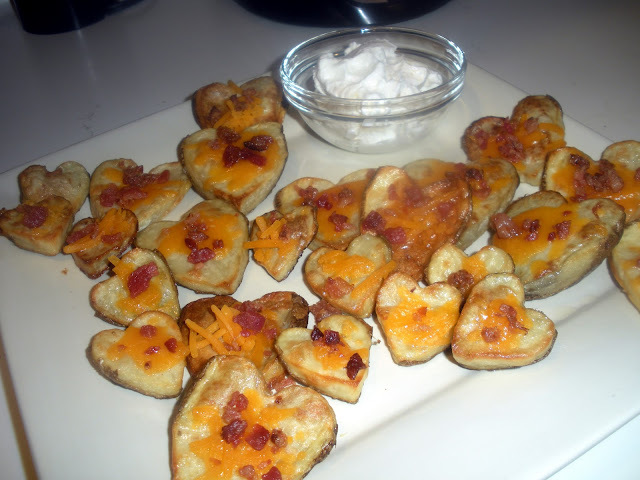 Valentines Dinner Idea I'm Loving: If the way to someone's heart is through their stomach, then these heart-shaped potato skins from Make the Best of Everything should do the trick! 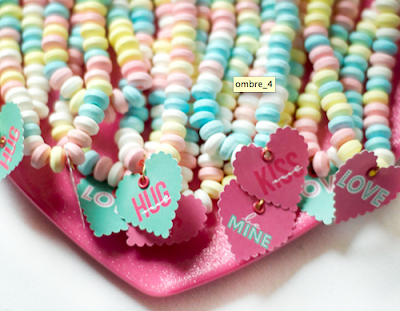 Bling-tastic Valentine I'm Loving, Part 1: Mom on Timeout has a great how-to for valentines who want to put a ring on it. Bling-tastic Valentine I'm Loving, Part 1: I love this simple idea from Modern Moments Design - just add a tag to a candy necklace and you've got a super sweet accessory! 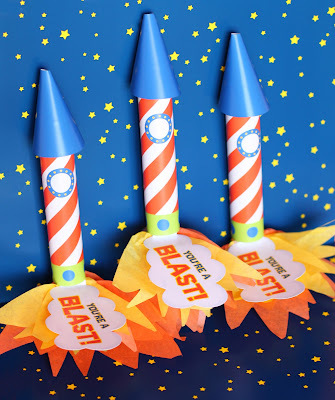 Boy-Friendly Valentine I'm Loving, Part 1: These Rollo Rockets from Skip To My Lou come with free printables - talk about out of this world! Boy-Friendly Valentine I'm Loving, Part 2: If your little guy doesn't love this homemade heart-shaped slime from It's Gravy Baby, he won't love anything Valentines! Valentines for Grown Ups I'm Loving, Part 1: Send a little love to your girlfriends with these free heartthrob printables from Design Editor. Valentines for Grown Ups I'm Loving, Part 2: Nothing says "Thank you for being a friend" like these printable Golden Girls Valentines from Adventures of Accordion Guy in the 21st Century! 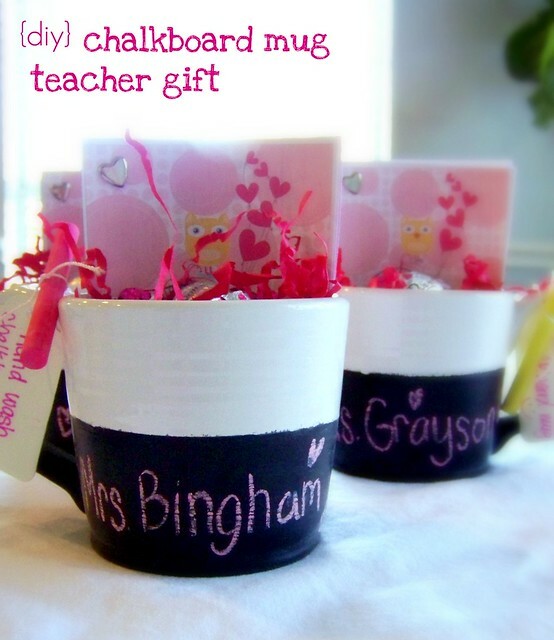 Teacher's Valentine Gift Idea I'm Loving: Simple DIY chalkboard mugs from Hi Sugarplum will surely show your child's teacher some love. So there you have some of my fave Valentines finds. To see more cupid-worthy ideas, visit my VDay Pinterest Board or check out my daily round ups over at Nickelodeon Parents Connect where you can also enter to win some fab prizes. Remember this amazing Star Wars party I featured on PARTY PEEKS WEDNESDAY a few weeks back? Well, I am very excited to announce that the super talented designers from Hello My Sweet have offered to give away the entire printable set to one lucky AFOMFT reader! It's perfect for an upcoming birthday, a sleepover Star Wars screening party or even a celebration of the release of the 3D version of Star Wars: Episode 1 later this month. No matter how you end up using these fab printables, the result is sure to be out-of-this-world! "Like" Hello My Sweet on Facebook and leave a comment telling them AFOMFT sent you! Please leave a separate comment for each entry (two if you've blogged about the giveaway) and make sure to include a link to your tweet, blog post, etc. All entries must be posted on AFOMFT as a direct comment to this post. Comments on Facebook will not count as entries. This giveaway is open to residents of the U.S. only and ends February 13th at 11:59 pm EST. The winner will be selected by random.org and announced on AFOMFT on February 14th. If the winner does not contact AFOMFT within 48 hours, a new drawing will be held so be sure to check back to see if you've won! Our Powder Room on Remodelaholic! I was so so excited to see this late last week! 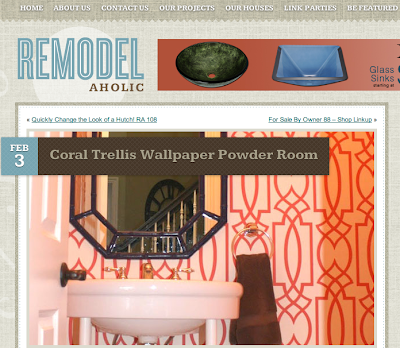 Yes, that's our powder room makeover on one of my favorite sites, Remodelaholic! Thanks so much to Justin and Cassity for the feature and if you're not already a regular reader of theirs, head on over and check out all of the wonderful DIY and decorating inspiration they share every day. Just a few more days until the Super Bowl and these awesome printables from Living Locurto are perfect no matter which team you're rooting for! And even if you're not into the game itself, there's something for you commercial lovers too. Head on over to Living Locurto to download all the goodies. Go Giants! Hope you enjoyed today's pick and for more fab freebies, check out my Freebies and Printables Board on Pinterest! Okay, I admit it - I'm insanely jealous of all of the moms out there who can bake. And make pretty iced cookies. And perfect cake pops. I apparently don't have that "make-it-from-scratch" gene. But what is in my DNA is the ability to get creative with store bought stuff (see my Halloween example here!) so I decided to give re-making some Valentine's goodies a try and I have to admit, they didn't come out half bad. Rice Krispie Treats (no, I don't make my own but if you want to, go crazy!) and whatever you want to decorate with. I chose conversation hearts (because they were on sale - 2 bags for $2) and Betty Crocker cookie icing in a bag. Then grab a heart-shaped cookie cutter and some wax paper and follow these six simple (and when I say simple, I mean SIMPLE!) steps and you'll be all set! Step 1: Unwrap a Rice Krispie Treat (aka RKT) or if you actually made your own, just cut out a chunk and place it on wax paper. Step 2: Use a rolling pin or other heavy object to flatten the RKT into a square-ish shape. Step 3: Take your cookie cutter and press it into the RKT. Step 4: Remove excess RKT (this is so much easier to do before you pull up the cookie cutter). Step 5: Set aside scraps to use later (or you can eat them if you're a glutton like me) and remove cookie cutter (you may need to brush off some crumbs and smooth the edges). I like the Betty Crocker bagged icing because it hardens pretty quickly. Using it takes a little while to get the hang of so you may want to practice on your wax paper first, and I also suggest having some toothpicks nearby to use for touch ups. And get creative with what you use to decorate - I dipped a foam scrapbooking stamp in the icing to make this monogrammed heart and it turned out to be my favorite. After the icing hardens, you can wrap the hearts up and top them with a fun tag (check out tons of free printable versions on my Valentine's Day Pinterest Board) or you could even add a stick and hand them out as lollipops. The possibilities are endless! No, not all of RKTs turned out perfectly (that one on the right kind of looks like it's bleeding from the middle....) but hey, they were fun to make and even the not-so-cute ones taste delicious. So go ahead and get your semi-homemade groove on!